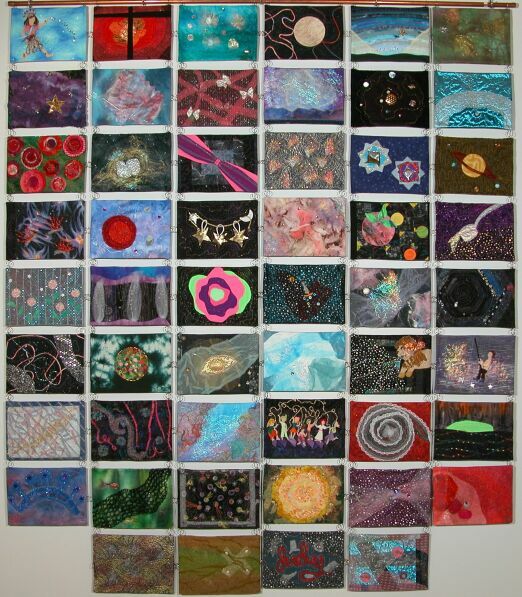 Explanation: Demonstrating her mastery of a traditional astronomical imaging technique quilter and astronomy enthusiast Judy Ross has produced this spectacular composition of "Astronomy Quilt Piece of the Week". 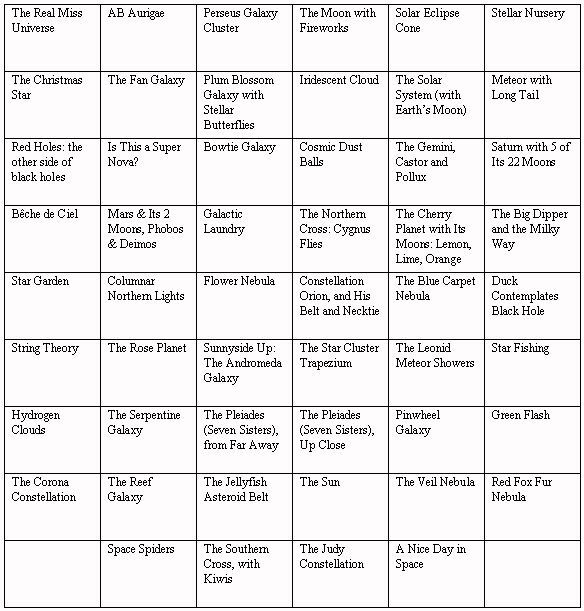 Her year-long effort resulted in an arrangement for a six by seven foot quilt consisting of 52 individual pieces (11 inches by 8 inches), one for each week, which she reports were inspired by her steady diet of APOD's daily offerings. 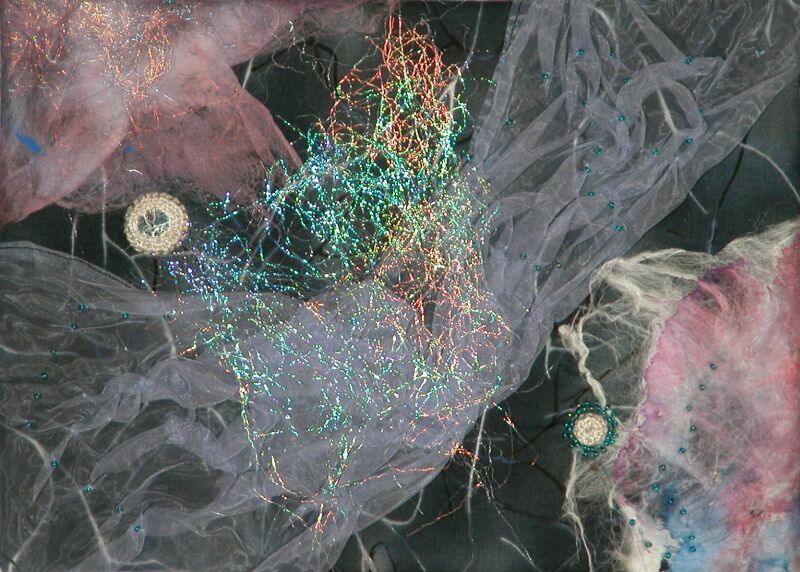 Some of the pieces are based on actual pictures, such as the Hubble Space Telescope's view of planet forming AB Aurigae or Bill Keel's image of the nearby Pinwheel Galaxy. 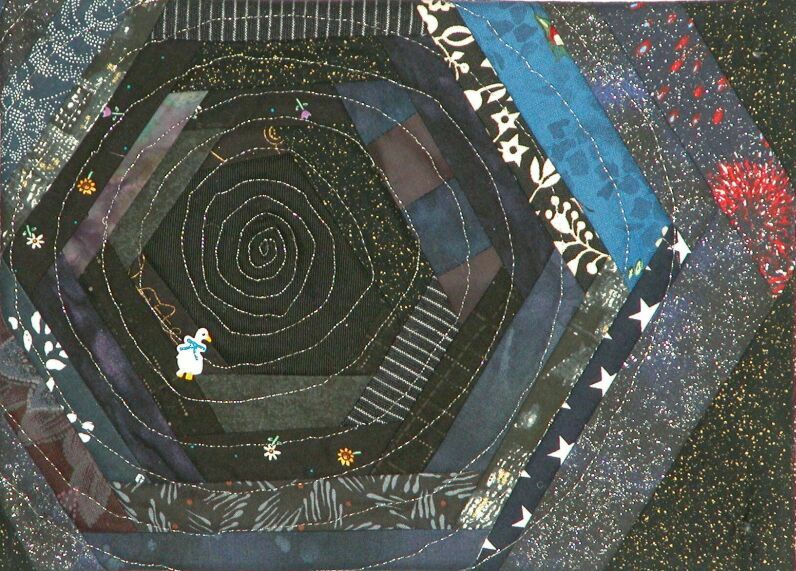 Others, with titles like the Blue Carpet Nebula and Duck Contemplates Black Hole, are from her own creative imaginings.